UT Idea Lab | Student Startup Camp 2019 winners are here! Team DreamField led by Juri Volodin helps farmers increase production and earn more whilst saving the environment by utilizing a novel method of soil analysis to fight overfertilization. The camp started on Tuesday with 90-second idea pitches. Everyone who had an idea got a chance to present it and find teammates. Out of 18 ideas pitched in the beginning 14 were kept and teams started to develop them to Minimum Viable Products. 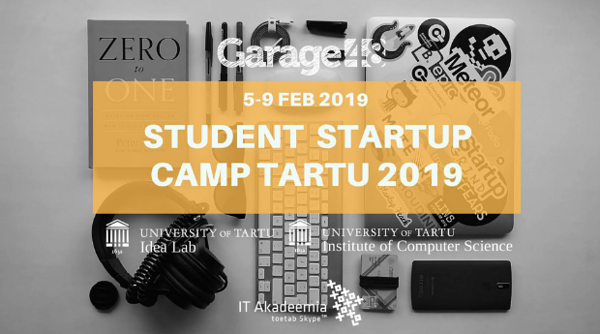 Teams worked hard, met with mentors (Kai Isand, Mari Hanikat, Mihkel Pukk, Maret Kruve, Chris Thompson) and heard talks from different startup founders and field experts. The camp ended on Saturday with a pitching competition where all the teams presented their products/services and progress made during the camp. The judges were Maret Ahonen (UT IdeaLab), Maret Kruve (Garage48, Pipedrive), Sven Parkel (Tartu Biotechnology Park), Jaana Metsamaa (Pipedrive) and Martin Vares (Fractory.co). DreamField helps farmers increase production and earn more whilst saving the environment by utilizing a novel method of soil analysis to minimize overfertilization. MapTavern is a search portal for Dungeons and Dragons players. MapTavern collects and categorizes our maps so that players can find exactly the maps they want, quickly and easily. PetHealth is a collaborative platform for animal healthcare. A solution that empowers your vision and enriches animal healthcare with intuitive collaboration. For your stunning photoshoot you need excellent gear but skip the big purchases. Lend camera equipment from locals for a reasonable fee via Lendit. A secure website where you can set up meetings with screened and verified users and rent their photography tools. Imagine alcohol always being on sale when you buy it... well that's a reality now. Viinavaatlus is a price comparison website, which compares the price of alcoholic beverages from different stores. It shows you what stores have the best prices for any given drink. Here are all the other teams that did just as great job! We are making a centralized web portal for all the pharmacies where people can search for any medicine. And we will provide the list of pharmacies which have that medicine along with the price, distance, and address. Beauty Booking is a web application that brings together beauty service providers and their customers. Costumers can find a service provider that fits their unique needs, give feedback and set appointments. We help beauty service providers to manage their schedule, get their name out and show off their amazing skills. A safe and convenient password storage extension that utilizes Smart ID validation instead of a master password for ultimate security. Web application to help production companies better plan and track their work. It acts as a platform to easily define workflows and enables tracking progress in real-time. Basically, bring innovation to production control to help achieve lean production. Help users find a relaxing experience in an art exhibition. Don't know what to cook but have the ingredients? We have the recipes you need. Just input your ingredients and we will show you possible recipes. Different recipes every day at the tip of your fingers. Some diseases are rare, their therapies should not be. We connect patients to promising upcoming clinical trials. Book a ride using USSD menu-driven implementation on any mobile phone without the internet. Sculptr provides custom AI-tailored workout and nutritional plans to help you achieve the body of your dreams. The 5-day course consisted of teamwork, intensive mentoring, hands-on talks on specific topics around launching a tech startup and inspirational talks by the #EstonianMafia founders. Teams got to listen talks by Jüri Kaljundi (Weekdone), Mihkel Pukk (Garage48), Maret Kruve (Garage48, Pipedrive), Stenver Jerkku (eAgronom), Jaana Metsamaa (Pipedrive), Siim Pruulman (Mooncascade), Martin Vares (Fractory), Marelle Ellen (Startup Day) and Kai Isand (Garage48). 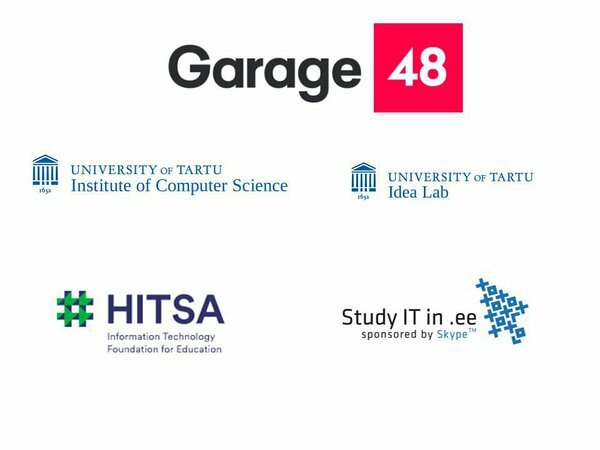 The event was co-organised with Garage48, the Institute of Computer Science of the University of Tartu and UT IdeaLab. The event was supported by HITSA and IT Academy.